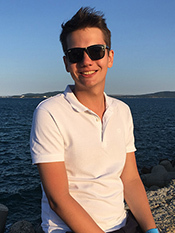 My name is Mark Seliaev, I am a Computer Science student and young data scientist from Saint-Petersburg. Nowadays I am pursuing my degree at ITMO university and working on my pet projects in machine learning. Currently, I am interested in any data science related internships, so feel free to contact me via email – [email protected] or any other way (links at the top).